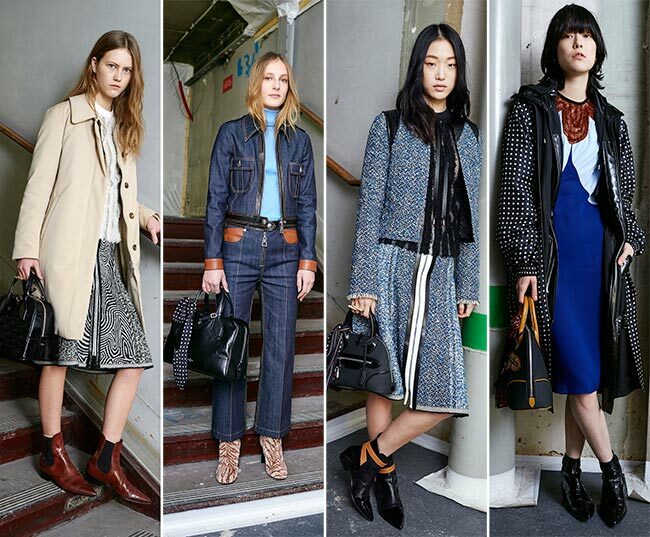 Today, Louis Vuitton is a leader in women’s fashions as well, which is why our hearts are pumping at seeing the unveiling of the Louis Vuitton pre-fall 2015 collection, with all the mastery of its design. Every last piece of garment presented is the embodiment of the imagination put forward by Nicolas Ghesqui‚Äö√†√∂¬¨√Üre, a fashion designer in his own right who currently holds the creative director position of the house of Louis Vuitton. The 43-year-old fashion genius, who previously was made head of the Paris fashion house Belanciaga, has already done much for the brand, ensuring a quick spike in business during the past year and increasing expectations about the market share it will be holding on to by the end of 2015. The last day or two have been full of news articles describing the magic touch of Nicolas Ghesqui‚Äö√†√∂¬¨√Üre, indeed making him one much sought after creative director. Louis Vuitton Malletier, also known simply as Louis Vuitton or LV, is that impeccably stylish French fashion house founded back in 1854, which has really branded itself as one of the top luxury brands of the world. Men and women alike love to carry around their Louis Vuitton handbags, luggage, wallets and all types of accessories that have been printed so lovingly with the signature brand logo. That LV monogram appears on most of its products, from clothing to accessories, jewelry to books. In 2013, the brand’s valuation was based at 28.4 million USD, with a whopping 9.4 billion USD in sales! Nicolas Ghesqui‚Äö√†√∂¬¨√Üre’s first pre-fall collection for Louis Vuitton was newly unveiled and the importance of this has not gone unnoticed by any. After all, the pre collections are the biggest ones that stay in stores the longest and rake in the most sales. 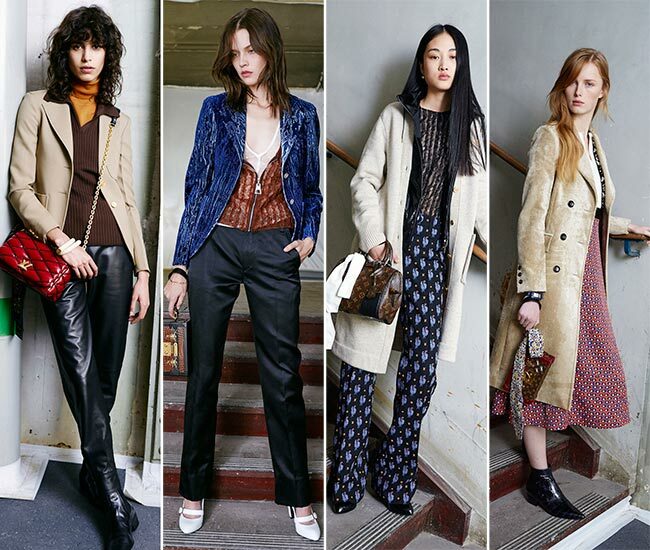 As such, seeing the ’70s designs hit the stage once again through the Louis Vuitton pre-fall 2015 collection is such a treat, complete with spice-rack palettes, wide lapels on those lovely blazers, rubbed turtlenecks that have been a constant among the trends, and flared jeans that have replaced the older cigarette coupes. It’s all about the elongated, slim silhouettes with lots of layers, particularly in the form of dresses that fall to the knees, dotted silk windbreakers, and amusing coq embroidery. High waists with crop top sets are a given, while leather bomber jackets also make the cut. 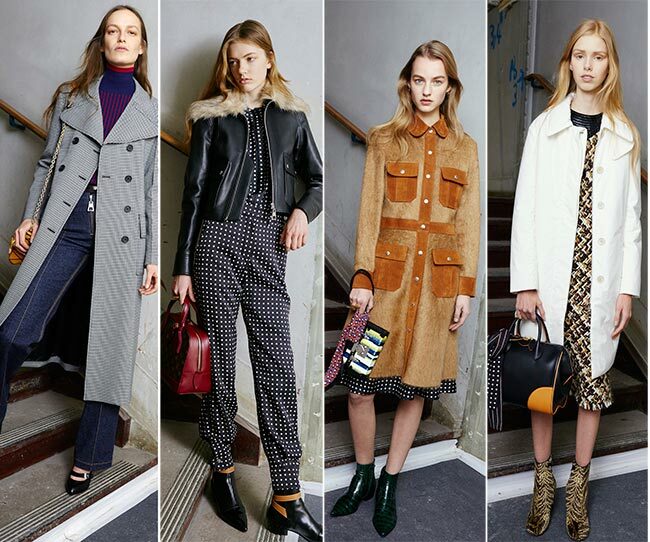 It’s a gorgeous collection and certainly worth perusing for new pieces to add to our pre-fall wardrobes. Combinations of colors burst out from the Louis Vuitton pre-fall 2015 collection, all in the more muted autumn tones but still appearing with much gusto. One of these pieces is a midi length dress that is thrown over a brown knit turtleneck sweater and thus have a black shoulder area, moving into tweed across the back and the bust and then a bright red fabric takes over to fall down to just above the kneed. The shoes are low heeled ankle boots in a lovely striped tiger print, with a lovely black handbag emblazoned with the LV monogram added on as the perfect accessory. You can also go for the black and white polka dotted dress that has a knee length midi hem as well, in an A-line skirt, and throw over that a lovely beige-brown suede jackets with four pockets in a darker beige coloring, and complete the look with forest green alligator skin low-heeled half boots, which combine multiple colors, as is the theme across the board, in a rather stylish manner.